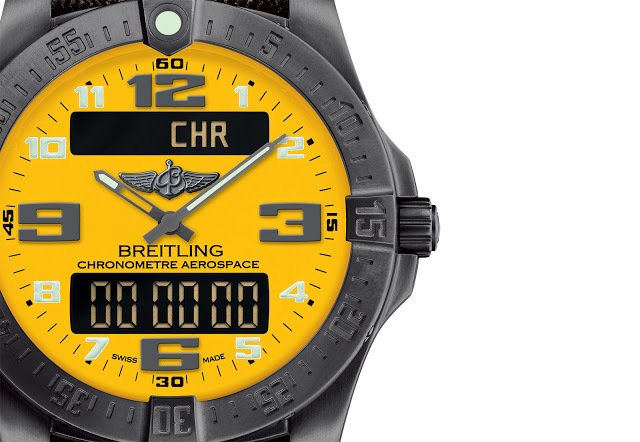 Arguably the original Swiss smart watch, the Breitling Aerospace celebrates its 30th anniversary this year with a new black titanium version as well as a yellow dial limited edition. 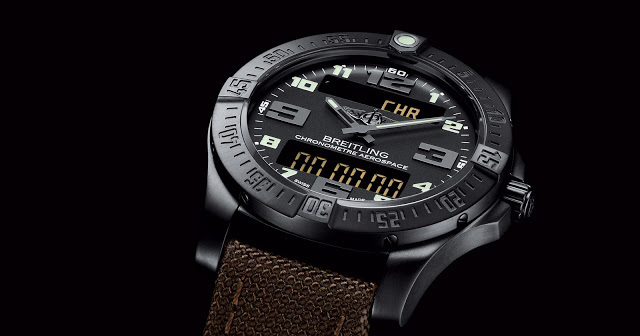 Now 30 years old the Breitling Aerospace made its debut in 1985 as possibly the first hybrid analogue-digital wristwatch. At the time it was remarkably high tech and also sleek – all its functions were controlled by the crown. The new Aerospace Evo Night Mission keeps all the signature features of the Aerospace – twin LCD displays with a single crown – with a thermo-compensated Superquartz movement in a black coated titanium case. 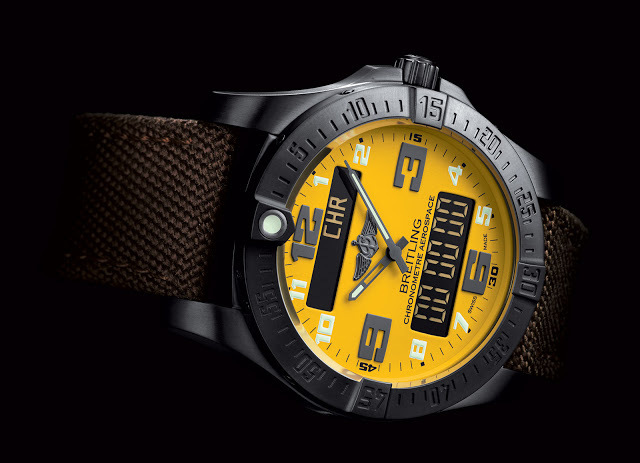 And for the 30th anniversary, there’s a 300-piece limited edition Aerospace Evo Night Mission with a bright yellow dial. 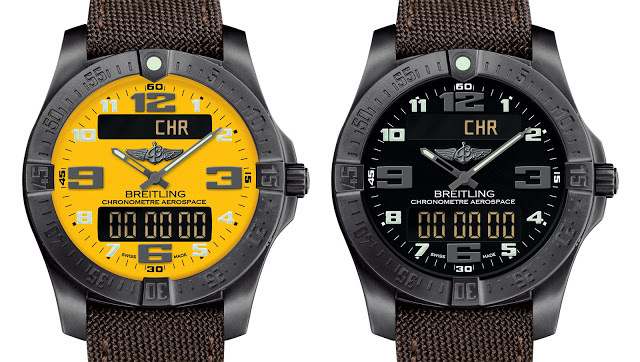 In the typical tradition of Breitling’s over the top pilot’s watches, the Aerospace has all the bells and whistles. The calibre 79 inside is a COSC certified multifunction quartz movement with thermo-compensation, meaning it is regulated to account for the effects of temperature on the quartz oscillator. The movement features night vision goggle compatible backlight, 1/100th of a second chronograph, countdown timer, second timezone, alarm, minute repeater, leap-year calendar, and battery end-of-life indicator. The titanium case is 43mm with the characteristic “rider tabs” on the bezel, and a sapphire crystal with antireflective coating on both sides. The strap is a dark brown canvas with a deployant clasp. The yellow dial 30e anniversaire version is limited to 300 pieces, while the black dial model is part of the regular collection. Both are priced at US$5740.